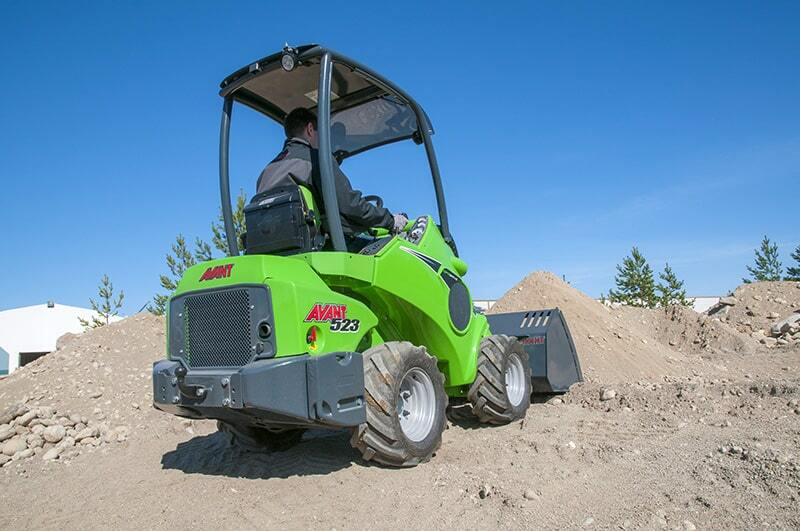 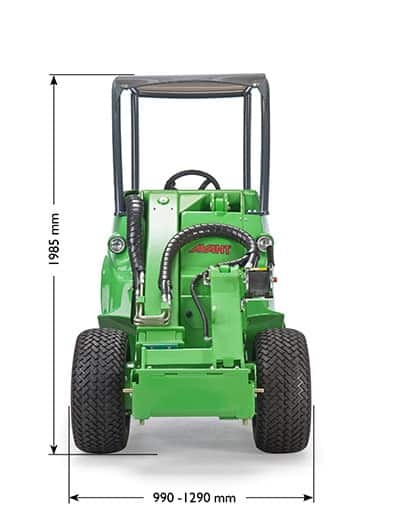 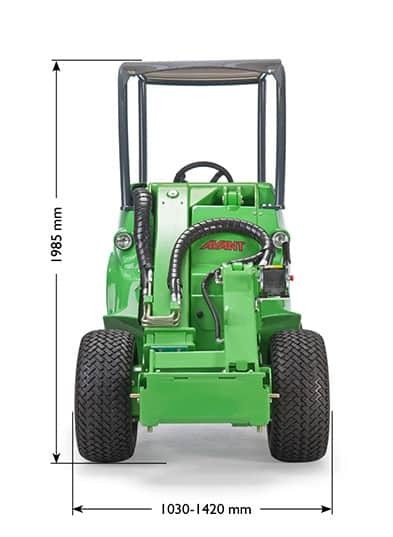 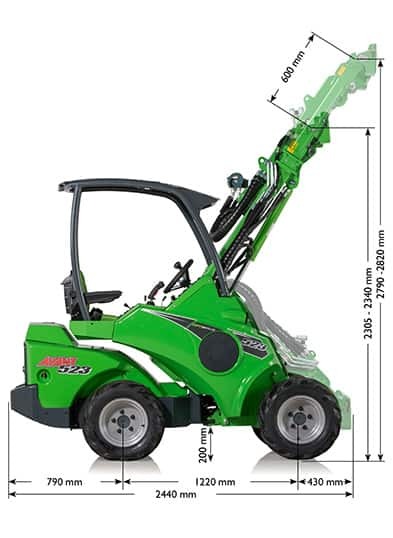 The Avant 500 Series machines are extremely effective and versatile loaders. 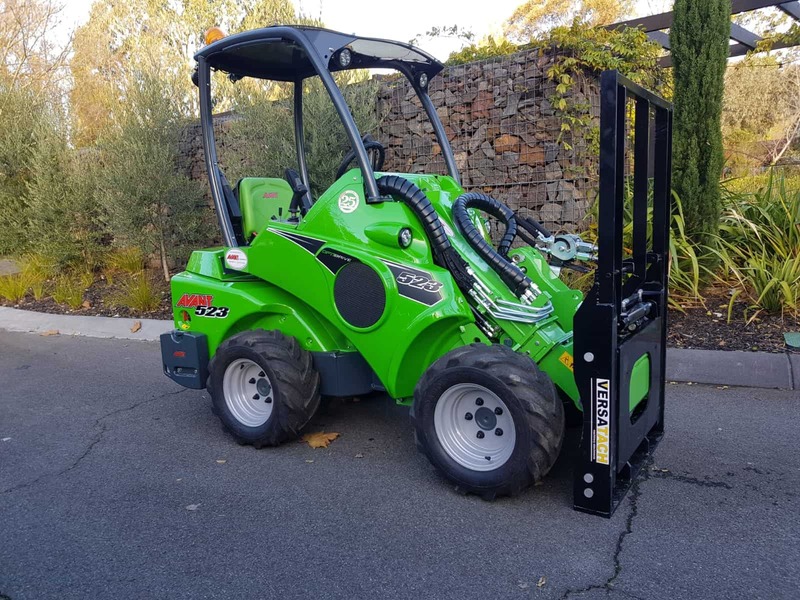 The driving of a 500 Series is easy due to logical drive controls, the hydrostatic drive has just two pedals one each for forward and reverse with infinitely variable speed control. 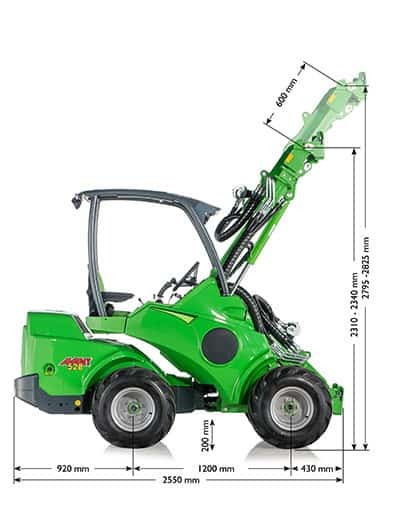 Steering is power operated via a conventional steering wheel. 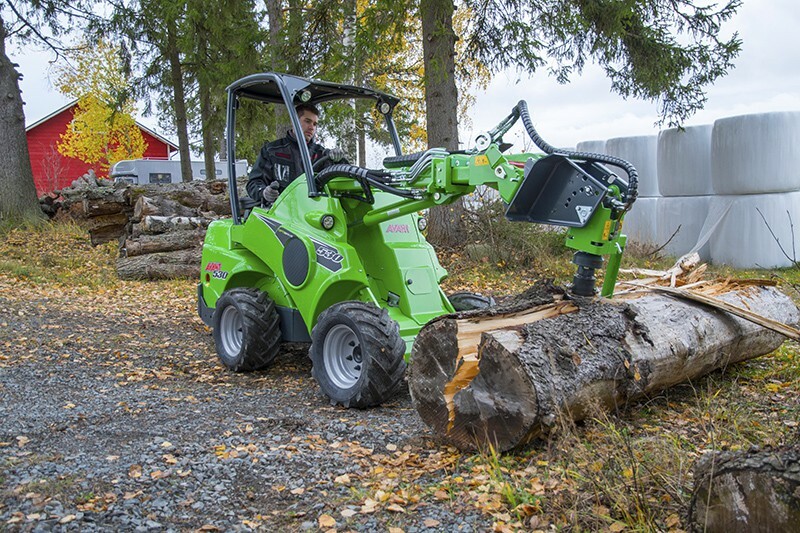 The boom functions are operated easily due to the ergonomic control lay out. 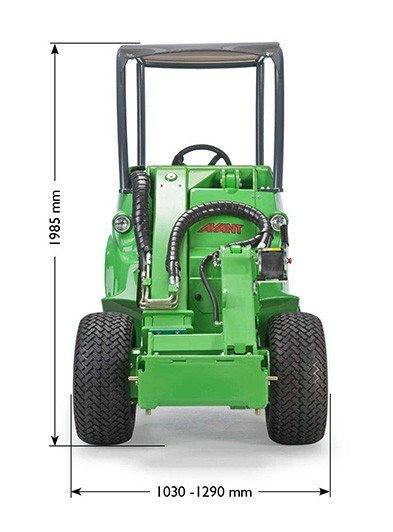 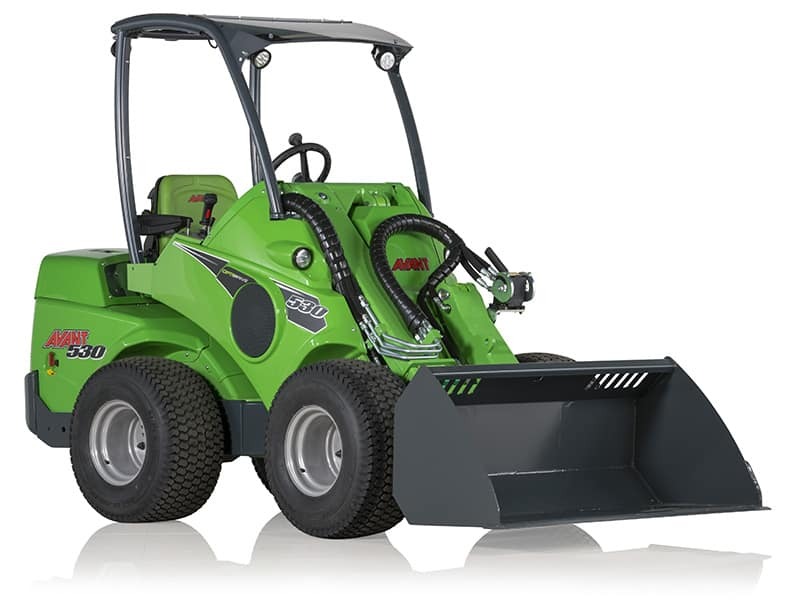 The unique basic construction certainly makes Avant an unbeatable machine in its class. 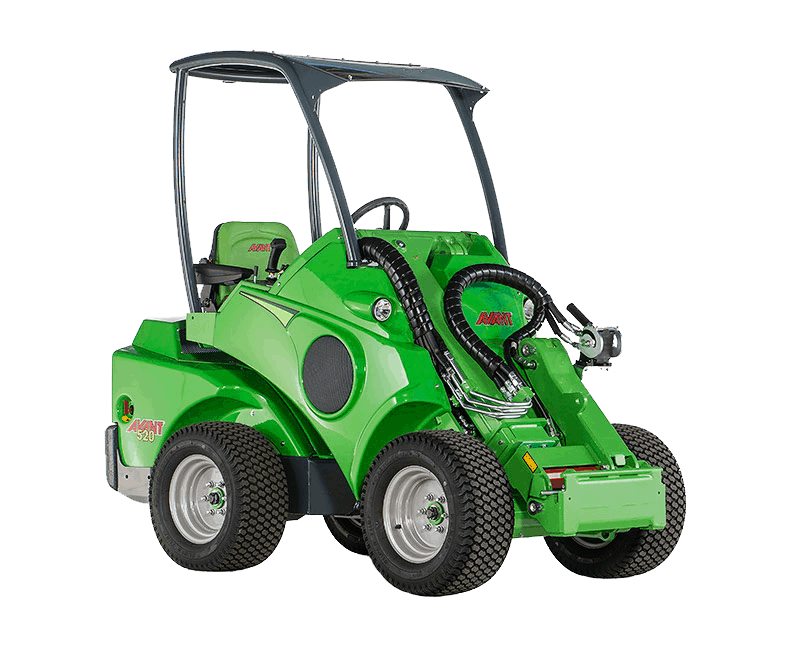 As a result of the feature packed Avant, operators experience better comfort, working efficiency and working quality. 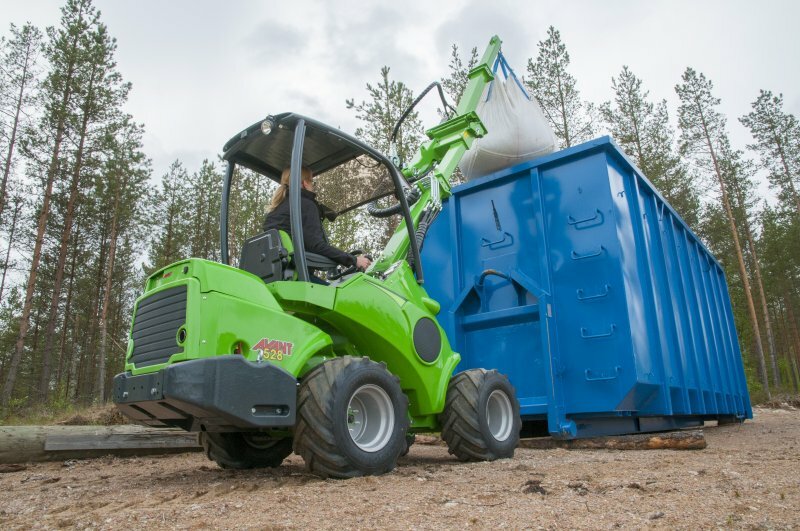 Furthermore, customers feel the Avant 500 series is an ideal year-round machine for outdoor material handling. 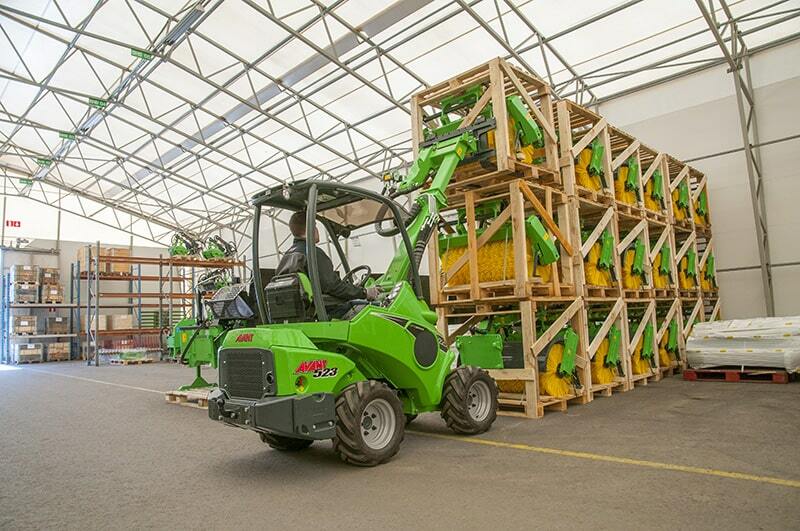 As a result of the telescopic boom and boom self-levelling, Avant has excellent loading and handling capabilities. 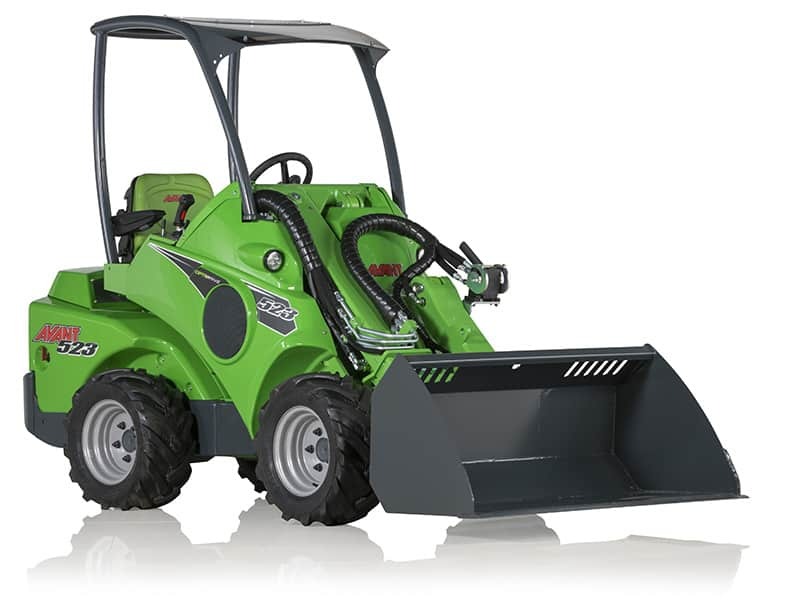 In addition with the Avant loader you can do various property maintenance jobs like sweeping, mowing and more! 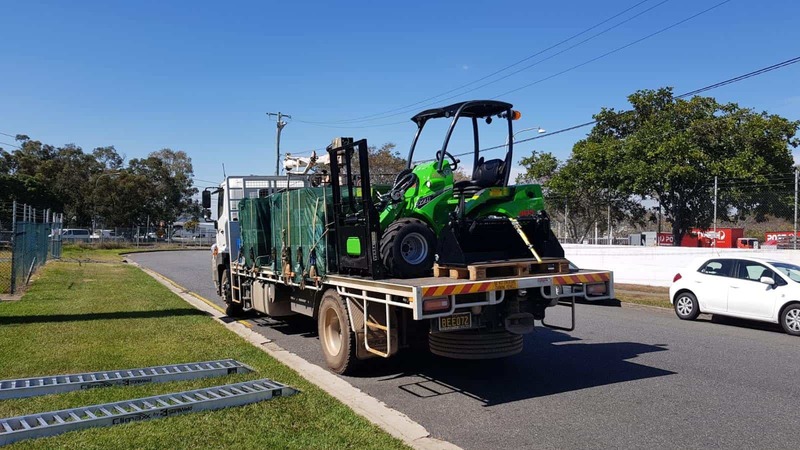 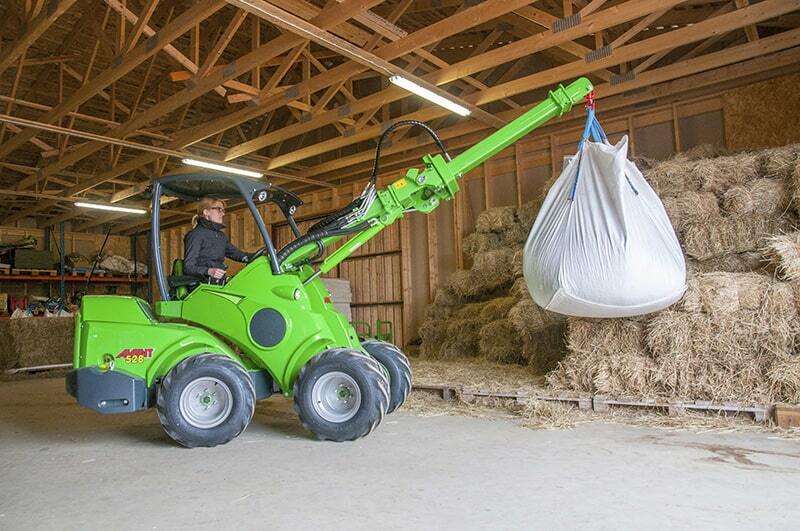 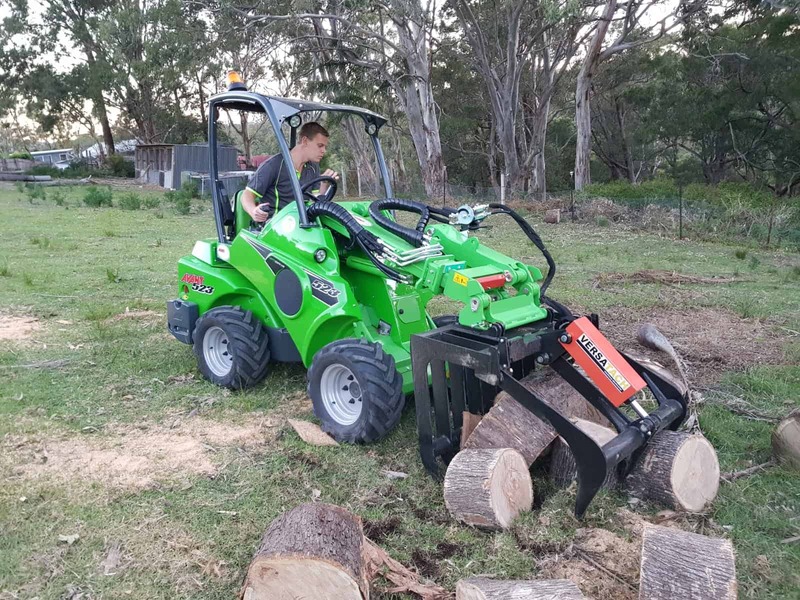 See what attachments to use with the 500 series here. 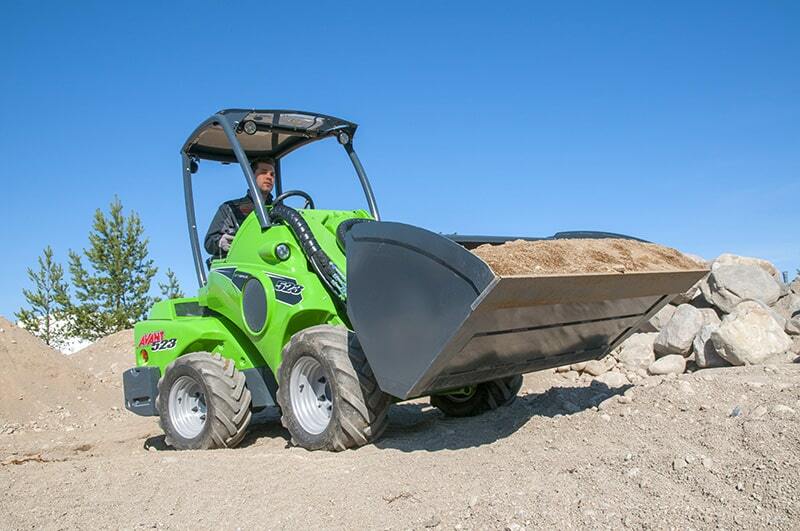 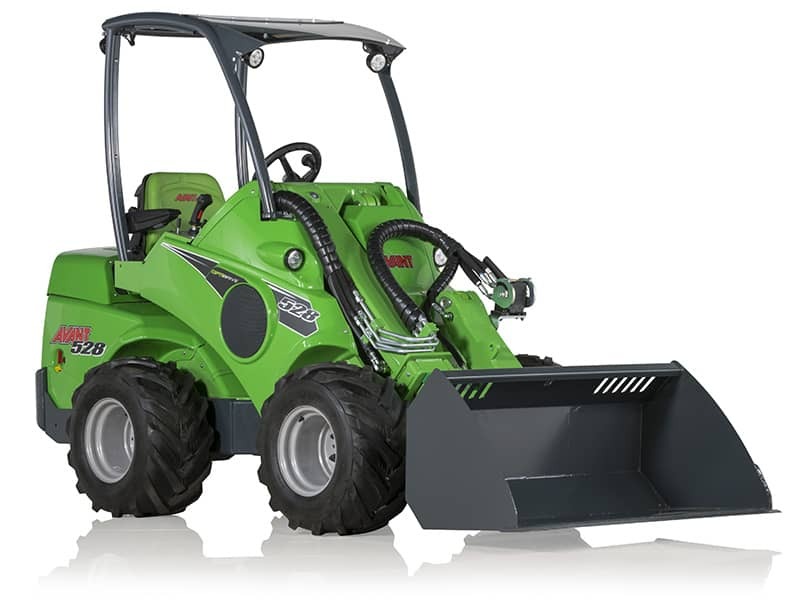 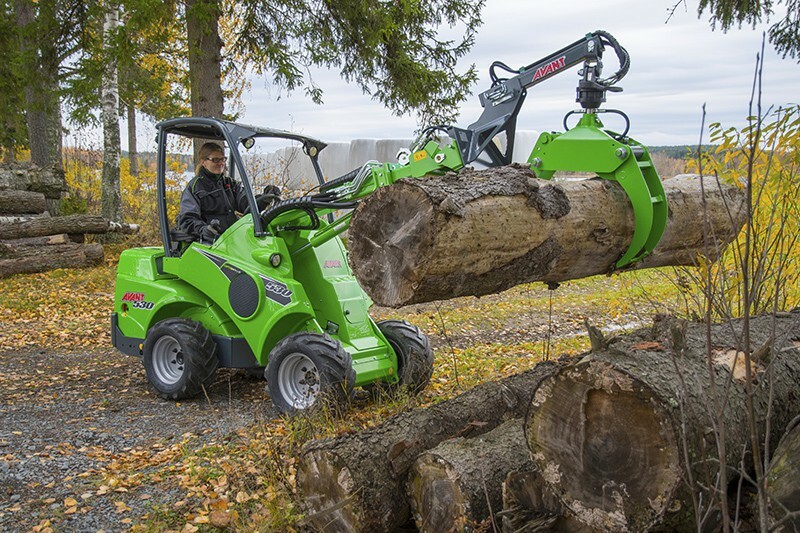 The 500 series loaders are designed and manufactured by Avant Tecno in Finland. 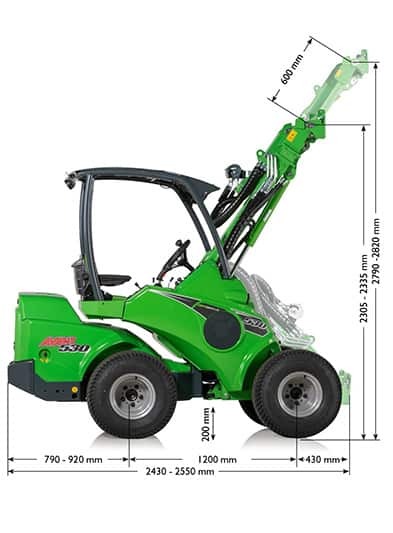 For more information call 1800 686 411.